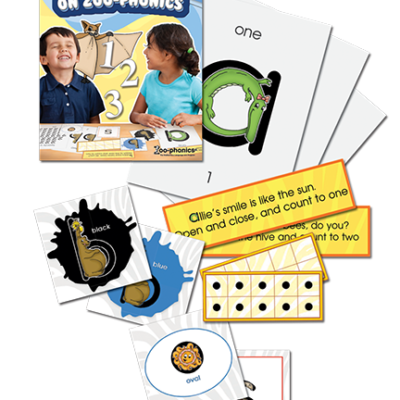 The Zoo-phonics Basic Reading Assessment (Z-BRA) provides preschool teachers a quick assessment test on all aspects of both lower- and uppercase alphabets: shapes, sounds, letter names, Alliterative Animal Names, Body Signals, and letter and number formation. For kindergarten teachers, tests assess student knowledge of the alphabet, letter and number formation, VC/CVC word lists, and reading samples; phonics tests will cover schwa, blend and digraph words, and reading samples; the first 25 Most Frequently Used Words. 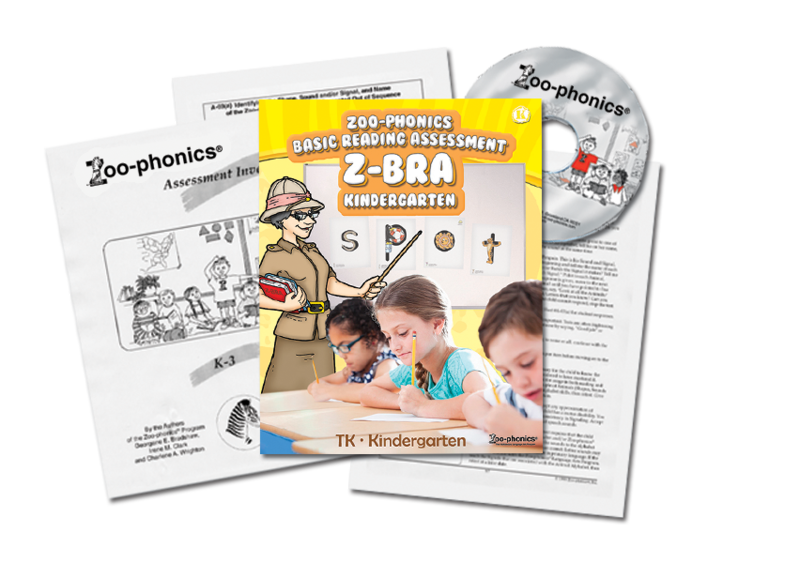 As an added value, the Zoo-phonics Quick Tests for the Classroom Preschool through 3rd Grade Level CD-ROM Version* is included. It provides Quick Tests to assess all areas of language arts, individually or in groups. Included: phonemic awareness, the alphabet, letter recognition, VC/CVC words, blends, digraphs, long vowels, diphthongs, silent and soft letters, high frequency words, reading, writing ability, grammar, punctuation, and capitalization. Suggestions for improving skills and working with Special Education and ELL students are included. Aligns to Common Core Standards to skills, helps teachers write IEP’s, and gives suggestions for remediation.